This caricature was done based on the original photo below it. 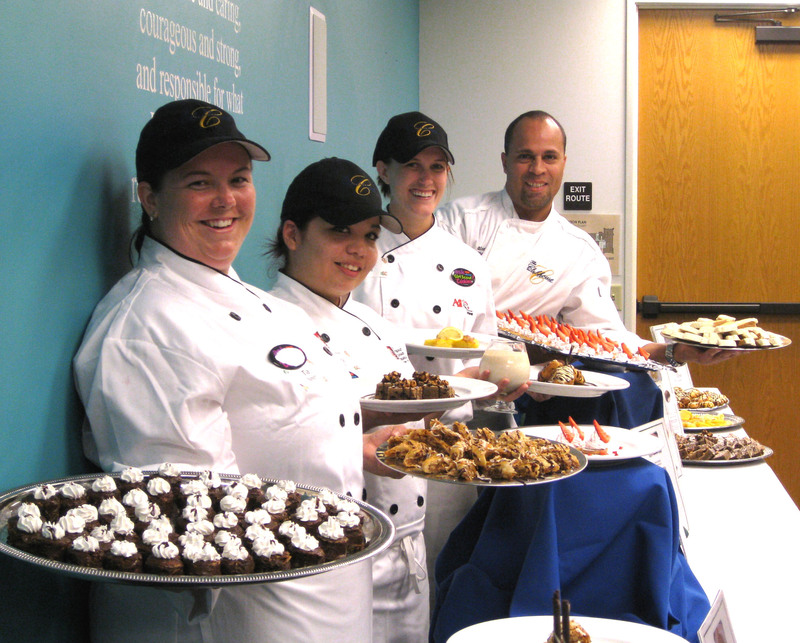 These chefs worked for The Clubhouse in Costa Mesa that’s, sadly, now closed. I found that I prefer to work the Liquitex Professional Mars Black instead of the Basic’s Mars Black. It’s just a better black. Any white areas are where the canvas is showing through. 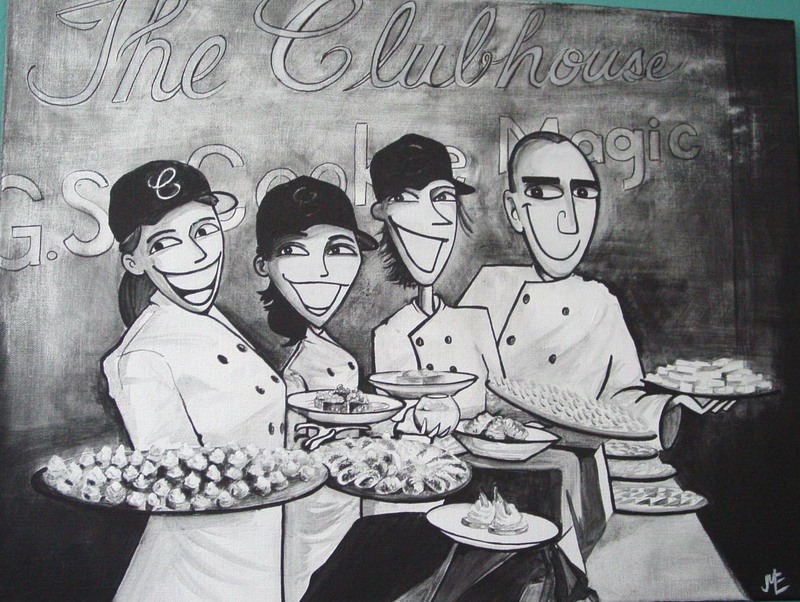 The caricature on canvas was presented to the Head Chef as a thank you gift. I hope he still has it wherever he is.